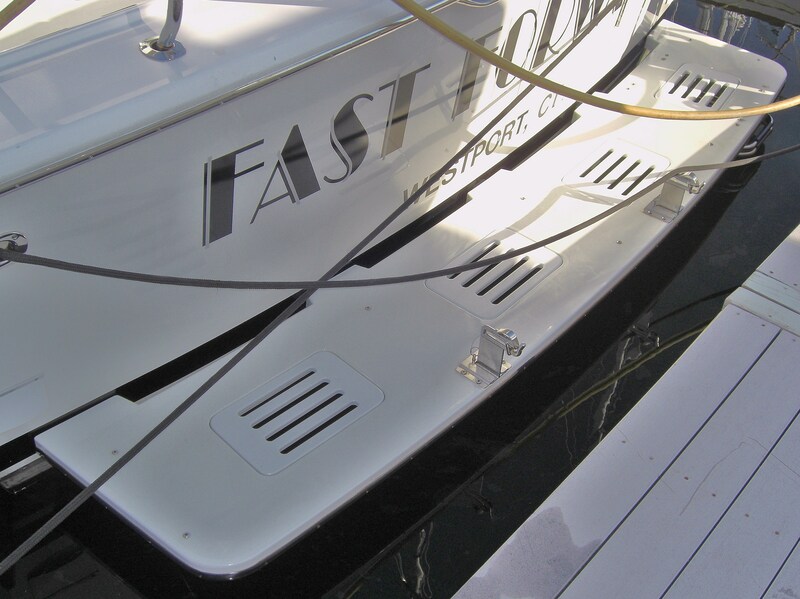 Butler Marine’s Fiberglass Transom Platforms are not made with a foam, plywood or balsa core unlike most of the fiberglass transom platforms on the market today, thus eliminating delamination problems and core rot brought on by water seepage. 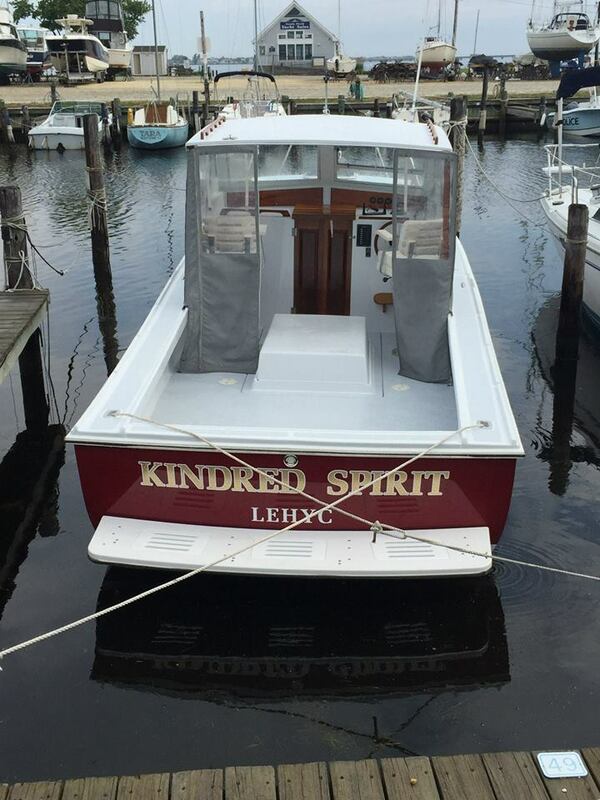 We offer many standard sizes and can also custom build platforms to your exact specifications. 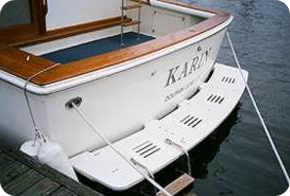 Our platforms feature optional teak or starboard (plastic) inlayed slotted areas to allow water to pass through. 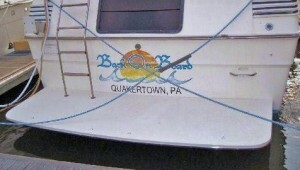 All of our fiberglass platforms are completed with a non skid finish for added safety. 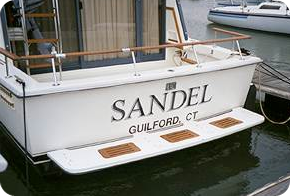 Butler Marine has manufactured transom platforms for many popular boat builders, both large and small, who are well known in the boating industry. 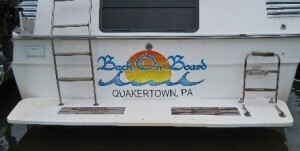 Our reputation is that of quality which is noticeable in our finished product. Color samples can be sent upon request. 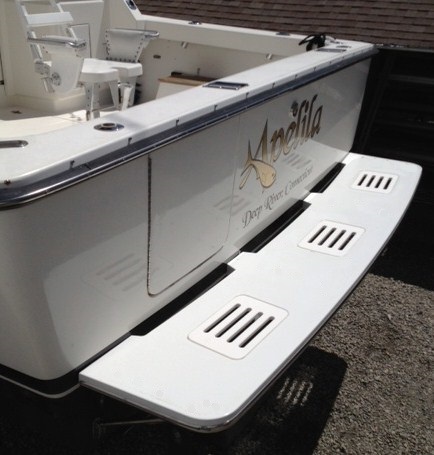 Stainless steel trim (rub rail) and custom color matching is included with all platforms at no extra charge. 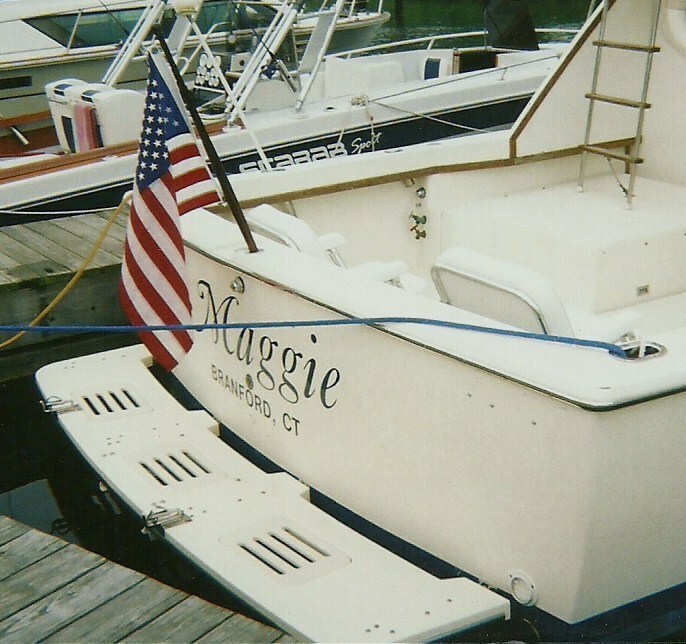 Our goal is to provide our customers with a solid, well constructed, high quality product. Call us today or complete our inquiry form for a price quote. 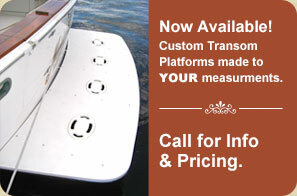 Butler Marine’s Straight Fiberglass Transom Platforms are made exactly like our curved models. 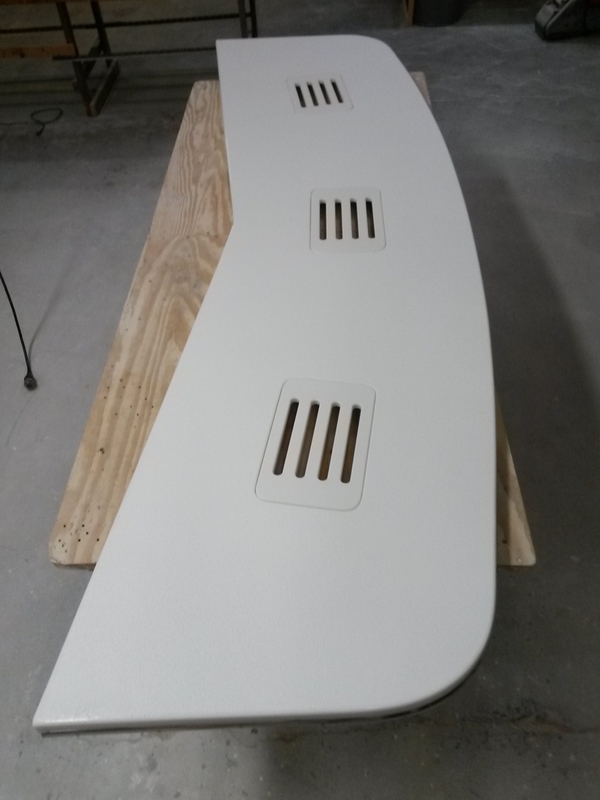 We offer custom color matching, stainless steel trim, inserts, non skid finish and customized sizing if requested. Call us or send us your inquiry form for a price quote.